UNIVERSITY VILLAGE — Under the developer's latest pitch, an apartment building at 1350 S. Union Ave. would include a rooftop deck, dog run and other luxury touches. New York-based developer Property Markets Group now plans to build a 79-foot-tall building that would include 99 luxury apartments and 99 parking spaces, company principal Noah Gottlieb said at a community meeting Tuesday night. Under new plans, part of the building would be six-stories tall and the remaining part would be seven-stories tall, he said. A majority of the building would feature one- and two-bedroom units, Gottlieb said. Two four-bedroom units would also be developed. The 625-750-square-foot one-bedroom units would likely rent for $1,800-$1,900 and two-bedroom units, at 950-1,200-square-feet, would likely rent for $2,400-$2,600. The average income of persons living in the building would be just under $100,000 annually, Gottlieb said, and the developer plans to target young professionals working at the University of Illinois at Chicago or the Illinois Medical District. The "condo-quality" development would also include 10-foot ceilings, walk-in closets and a rooftop deck with a barbecue pit, dog run, gazebo and an outdoor viewing station for movie nights. About 126 bike parking spaces are also planned, the developer said. After one neighbor expressed concern that the building might attract rowdy college students from nearby UIC, Gottlieb said that the building is designed to appeal to working individuals and couples. "We're designing this building to be for young professionals," he said. "It's less valuable for me if [the tenants] are students. ... The prestige of the building itself is diminished if this turns into a frat house. That's not what we're trying to do." After the community meeting at DeColores Tuesday night, Ald. Patrick D. Thompson (11th) said he hasn't yet decided whether he will support the developer's latest plan for the site. Thompson said the new plan pitched Tuesday was "much better" than previous plans for the site. "Something will be developed here," he said. 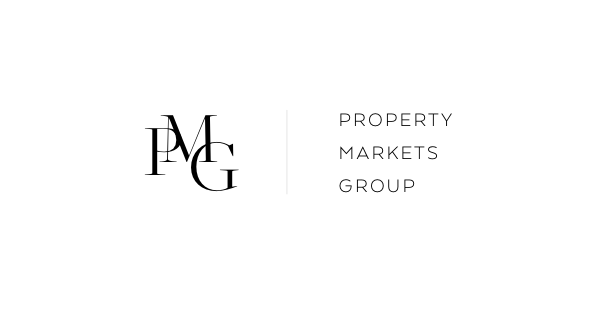 In summer 2014, Property Markets Group pitched a plan with 130 apartments and 70 parking spaces. In April 2015, renderings showed 149 units and 120 parking spaces. The developer is seeking a zoning change. If all goes well, construction would start in the fall and the building would open in fall 2017, Gottlieb said. Before Property Markets Group's latest plans for the site, The Newman Center, a Catholic foundation that runs a student center on UIC's campus, proposed razing the existing church on site and replacing it with a 17-story dormitory. In January 2012, that project was scaled back to a five-story building housing 280 students after complaints from area residents the the project — which is immediately adjacent to the Dan Ryan Expressway — would bring too much traffic to the site. The 145-year-old church at the site, which was most recently the home of Gethsemane Missionary Baptist Church, was demolished in March; it hadn't held services since 2005. The building was used for community art classes as recently as 2008. The closest homes to the development are across a field in the 1400 block of South Emerald Avenue. Many of the properties in the small collection of homes carry property values in excess of $1 million. Property Markets Group also plans to develop 500 rental units in Pilsen on a vacant 7.85-acre site between 16th and 18th streets and Newberry Avenue and Peoria Street. The Midwest Jesuits currently own the property.